So, you’ve found yourself in a situation that has forced you to file bankruptcy. Maybe credit card debts, educational loans, or mortgage payments have piled up and you can’t dig yourself out of the hole you’re in. So, where do you turn to for help? The first step in filing for bankruptcy is to make sure you have the best Toledo bankruptcy attorney representing you and helping you through the process. So, what can you do to help make sure your bankruptcy goes smoothly from beginning to end? Doing a little bit of prep work and educating yourself on the process of bankruptcy can help ensure that you have the right representation for your case. Here are a few helpful tips to consider before hiring a bankruptcy attorney to represent you. Get recommendations from the experts. Whenever you’re looking for a new service, the tendency is to ask your friends or family. However, not every attorney is the same, and not every attorney will be able to give you the type of legal help you need when filing bankruptcy. Instead, talk to other attorneys you may know or have connections to. Ask questions and get recommendations from professionals familiar with bankruptcy law. Only ask friends or family members for recommendations if they’ve gone through a bankruptcy themselves. Filing bankruptcy is not the same as filing a car accident lawsuit. Make sure you have the right attorney to represent you and your legal rights. Visit Bankruptcy Court if possible. If time will allow, take a day to visit bankruptcy court. This will allow you to become more familiar with the process, and learn more about various bankruptcy attorneys practicing in Lucas County. What styles or personalities would seem easier for you to connect with? Do you see any attorneys that appear to be easier to talk with? Do some attorneys appear to be more thorough than others? You can also take this opportunity to speak with those individuals filing bankruptcy to get their feedback and thoughts. Take the opportunity to ask an attorney face-to-face questions about bankruptcy and what you next steps might be. Ask about your attorney’s past experiences dealing with bankruptcy. How many cases have they filed? How long will the process take, start to finish? Is your attorney most experienced with individual, private bankruptcy claims or with business bankruptcies? Will you be communicating primarily with an attorney or partner, or will you mostly work with a law clerk? It’s important to talk about these details with your attorney to learn whether this particular law firm will be the best choice for your specific needs and expectations. Ask for a financial breakdown from the beginning. Your attorney should be up front with you about their legal fees, as well as the costs associated with filing for bankruptcy. You don’t want to get halfway through the process and learn that there are hidden charges or fees that you weren’t expecting to pay for. You probably never planned on filing for bankruptcy in your lifetime, but, if you find yourself in this place, it’s important to have a financial plan to get through it. 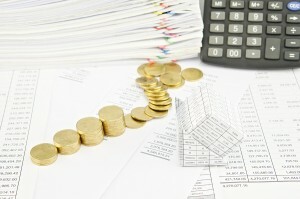 What better place is there to start fresh than planning the initial costs of your bankruptcy? Stay involved with your attorney throughout the process. As you go through the bankruptcy process, it’s important to have an attorney who regularly communicates with you and involves you from start to finish. The more thorough your attorney is, and the more open you can be about your finances and debts, the easier it will be for you to start fresh once everything is completed. You don’t want to find out later that there were debts that didn’t get covered in your bankruptcy. Your involvement will help make sure your attorney stays on task, and that he/she is committed to providing the best legal service throughout your case. If you’re looking for an attorney that you can trust to handle your bankruptcy claim with the attention and care you deserve, please contact me, Michael E. Bryant, Attorney at Law. As a peer recognized lawyer serving Lucas County and the State of Ohio, I am committed to providing each of my clients with the time, consideration, and respect that they deserve. Can I do the same for you? Please contact my office today to learn more about Bankruptcy law and how it can help you.